The SWL2500EFR has now been superceded by the SWL2500TFR. 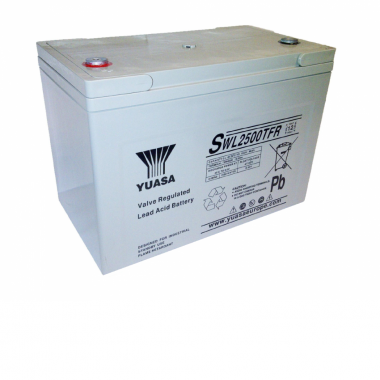 If you have an existing string of SWL2500EFR and need to replace individual batteries in that string SWL2500EFR's may be available; please check availability with us at info@powercare.co.uk. The EFR & TFR versions must not be mixed in the same string. The SWL2500TFR is usually in stock for fast Delivery. Please call or e-mail to confirm availability if batteries are urgently required. Yuasa SWL2500TFR VRLA batteries can be used in any orientation excluding continuous use inverted.